All packed, and off to the airport for the trip home to Perth. 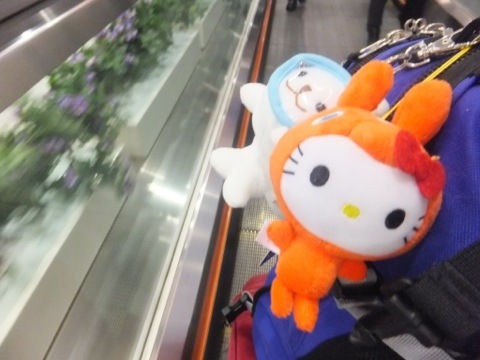 Here we see the friends traveling on the travelator to Central HK station. 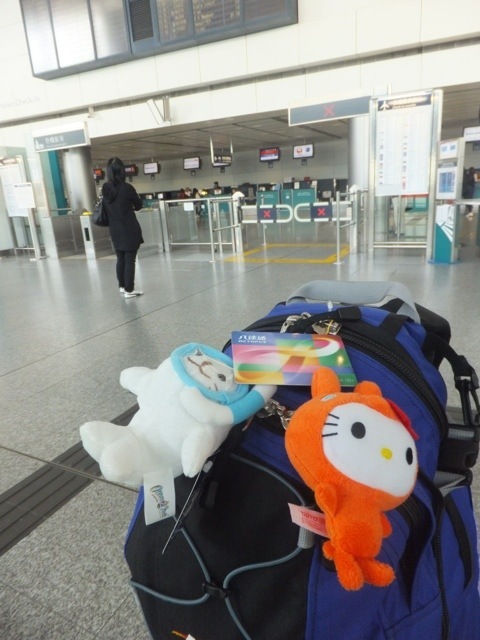 Once the friends had made it to Central, they were able to use their Octopus card (pictured) to pay for there ticket on the airport express. The we’re also able to check in to there flight, including dropping off there luggage at the “In town check in” counter. Most convenient! 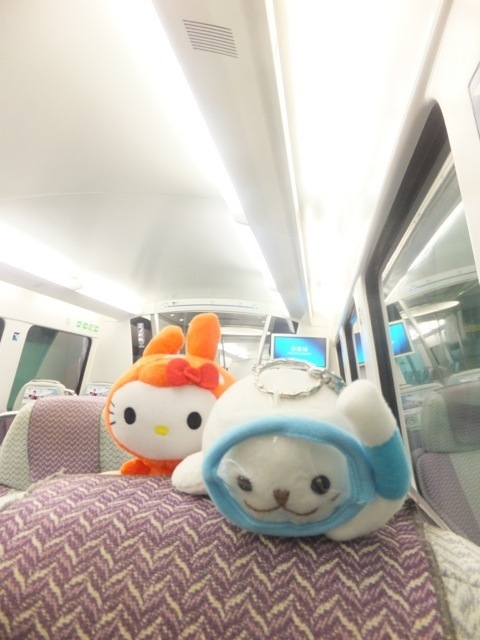 Then the friends sat back and relaxed on their twenty minute train ride to the airport, enjoying views of Hong Kong in comfort. 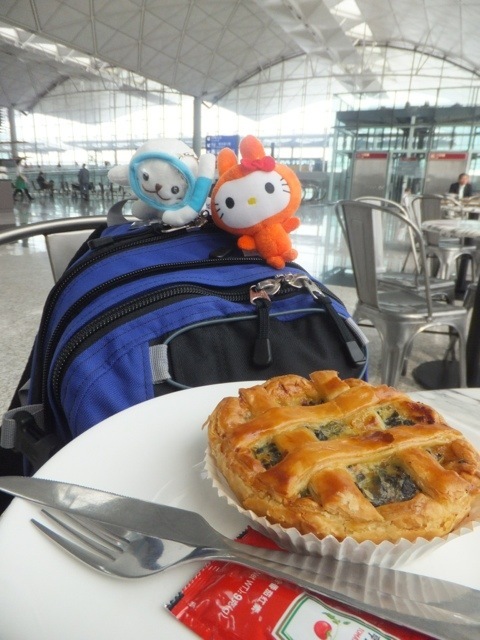 Before boarding, the friends enjoyed a spinach and ricotta tart at Smarmbucks HK airport. After an uneventful flight with nice meals aboard Cathay Pacific, everyone arrived home safe, tired but happy, and their lungs enjoyed Perth’s fresh air. Thank you for reading, and we hope to see you next time. 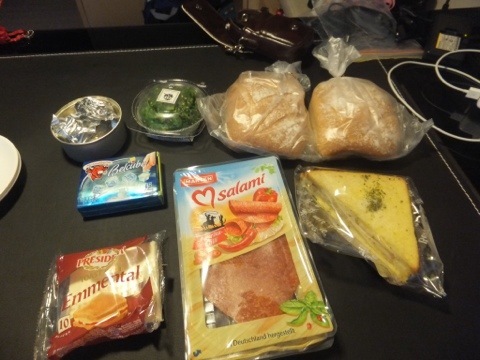 We have run out of money and energy, so it is heart salami for dinner again, from our local supermarket – “Fusion by Park and Shop”. 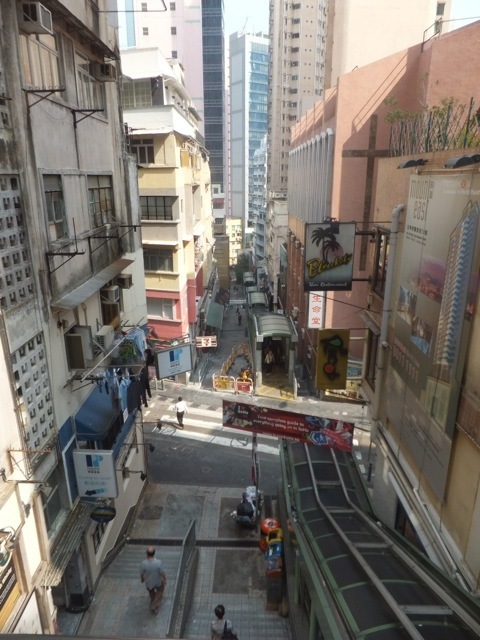 So like, there is a whole lot of escalators in a line, that just keep going, and lead you to the area known as the “mid-levels”. The problem being, it is all lovely on the way up, but you have to walk down stairs to get back. In the photo, those covered things are the roofs over the escalators. This leads up the hill for blocks and blocks and blocks. They say they are the longest escalator system in the world – and we can’t argue with that. It was bloody long. However, there has been quite a few cases on this trip where things said they were the tallest, or the biggest, or the best of something, and it clearly was not true. 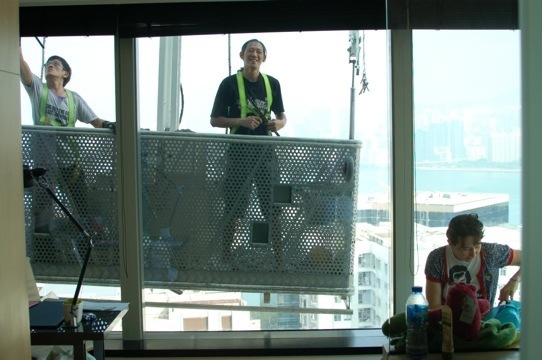 They cleaned our windows, and we took photos of them. 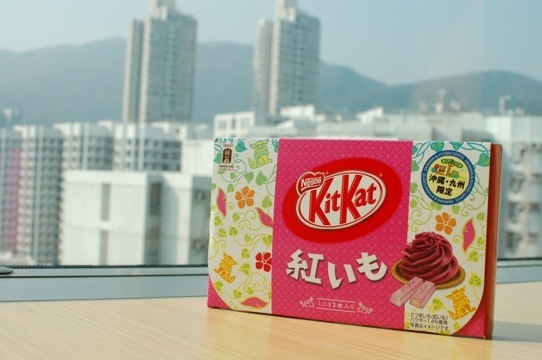 We might not be in Japan, but we are still able to find Japanese Kit Kats. This one is from Okinawa and is sweet potato flavoured. Glad it is not regular potato flavoured. 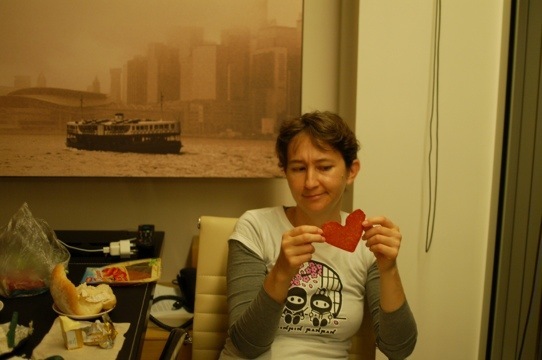 We just wanted a quiet, non-restaurant dinner tonight, so we picked up a few simple things from the supermarket, and then when we opened up the salami, we got these crazy-arse heart shapes. What’s up with that? As we near the end of the journey, we need to take time out to unwind. 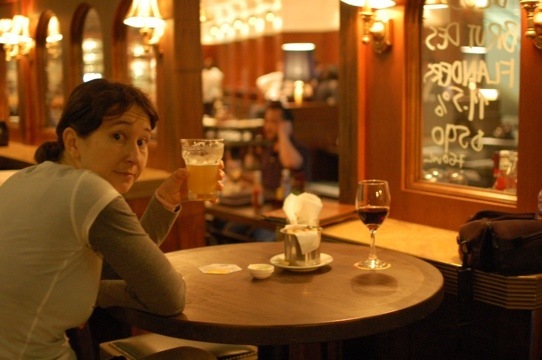 Here we see Blainie enjoying a Belgian beer at what could be a pub near the rocks in Sydney, but in reality it is under a large escalator in a high-rise building in Hong Kong. Run by Australians, and offering lots of beers ‘n snacks ‘n such. We might go back there tomorrow.